Do you have a few truly unusual photos in your Instagram collection? 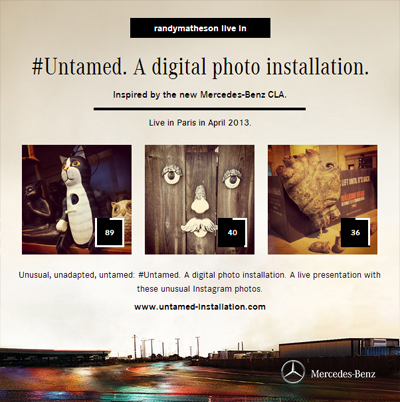 If so, then now’s your chance to add them to #Untamed, a unique digital photo installation inspired by the new Mercedes-Benz CLA. To participate, go to untamed-installation.com, connect to your Instagram profile and select the three most unusual photos from your stream. 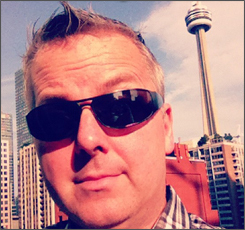 Each of your photos will be evaluated (it’s not clear exactly how), and given an #Untamed Score. The score is based on how original your style is, and how different it is from others that have been submitted. As you can see in the screen grab above, my picture of a wooden cat that doubles as a birdhouse scored a healthy 89, yet a giant zombie hand scored a paltry 36. The installation was created by Hamburg agency Jung von Matt/Alster, and will be on display in Paris in April 2013, hopefully with a few of my Instagram photos included.